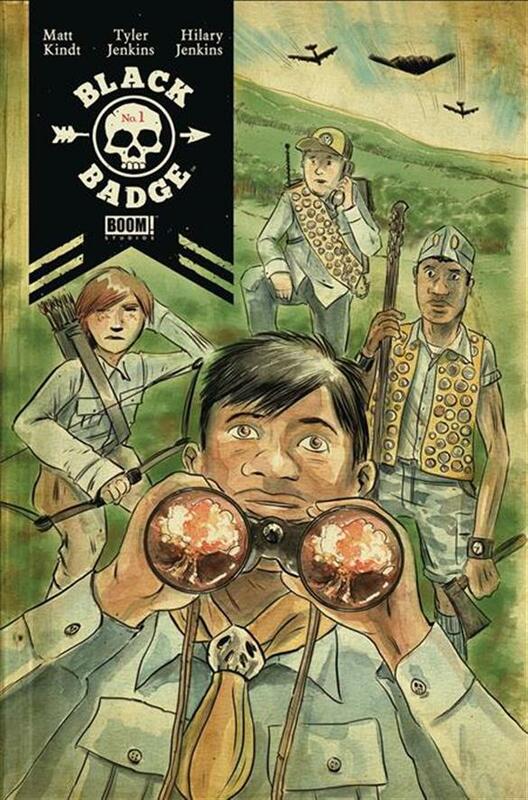 The Fellowship was fortunate enough to obtain a copy of BLACK BADGE #1 from BOOM! Studios. Matt Kindt writes, Tyler Jenkins draws, Hilary Jenkins colors, and Jim Campbell letters. Willy is the new kid in the troop, and he wants to fit in. He also wants to get the secret Black Badge they told him about, because then he’ll have all of the badges. His new troop is pretty small, just the four of them. Willy’s first mission with them is very weird, since “getting lost” in south Korea seems to be part of the plan. But he really wants that badge, and the others seem to know what they’re doing. Though what they’re doing is not normal scout stuff. These are some amazing kids, to say the least. They seem to be pretty confident that they can trust their scout masters, and they’re very good at their jobs. Willy asks a lot of questions, though, and it’s a great premise for this kind of story. And the art does a delightful job of helping to build the under-the-surface tension within the kids, as well as expressing their self-confidence. This is a first issue with some great background info and fascinating characters set on a low simmer (for now). It will be interesting indeed to see what happens when it reaches a full-on boil. 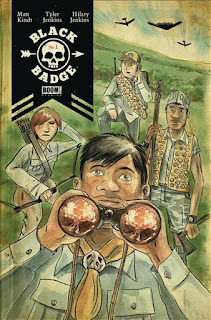 BLACK BADGE #1 is available now from your local comic shop, or online at boom-studios.com.